While I was walking around the GFAF Expo, I was offered a free Ardenne Farm product to review for y’all. I said yes, because I’m always looking for new Gluten Free products to review for y’all. So, without further ado . 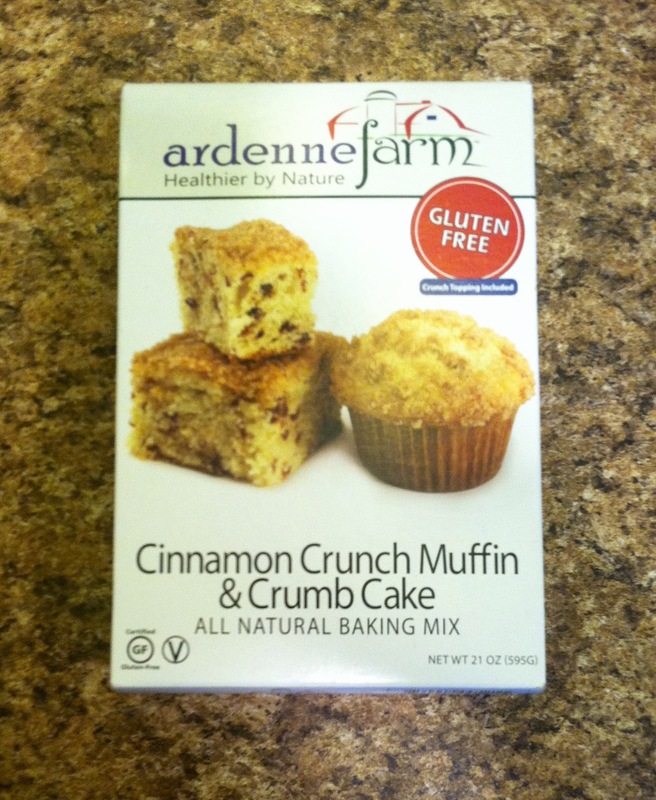 . . a review of Ardenne Farm Cinnamon Crunch Muffins!! As for the taste of the muffins, they were delicious. 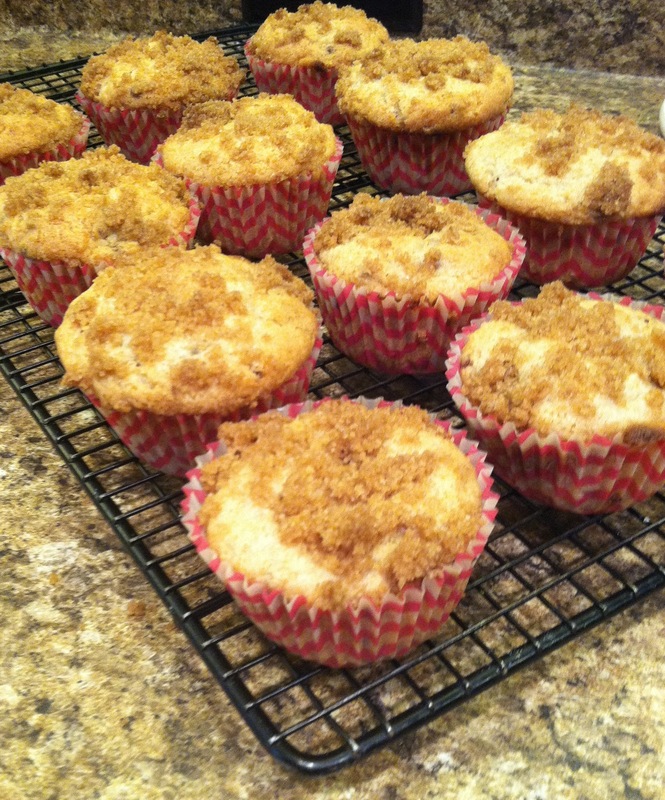 They had great flavor, and the crumb topping added additional emphasis to the cinnamon flavor. Texturally, they were moist and fluffy, with the crumb topping adding a nice crunch. I got the chance to sample a few other Ardenne Farm products at the expo, including their Sugar Cookie, and Oatmeal Cookie Mixes which were both very tasty. 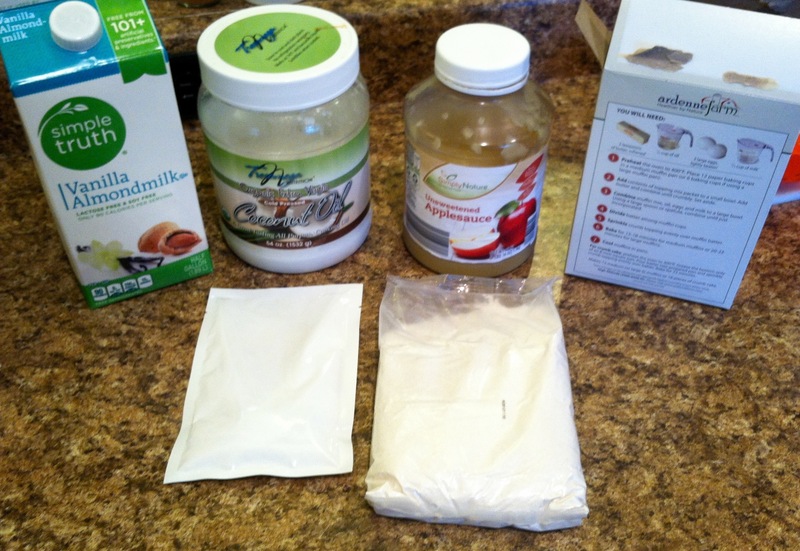 All of their mixes are vegan, and contain no artificial colors, flavors, or preservatives. Their products are all Certified Gluten Free, and are tested to ensure they contain less than 10ppm of gluten. All of their products made in a tree nut and peanut free facility. Overall, I’ve really liked everything I’ve tried from Ardenne Farm, and would totally recommend their products to y’all!